The osprey , also called fish eagle, sea hawk, river hawk, and fish hawk, is a diurnal, fish-eating bird of prey with a cosmopolitan range. It is a large raptor, reaching more than 60 cm (24 in) in length and 180 cm (71 in) across the wings. It is brown on the upperparts and predominantly greyish on the head and underparts. 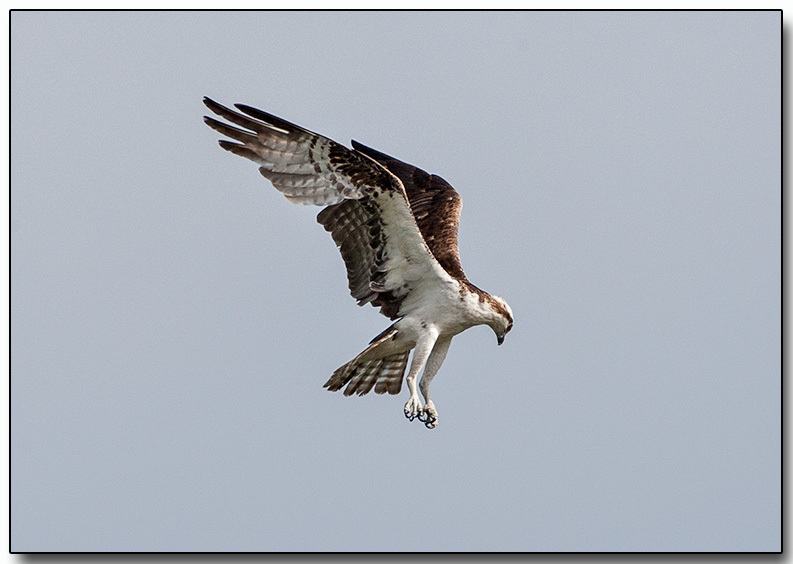 As its other common names suggest, the osprey's diet consists almost exclusively of fish. It possesses specialized physical characteristics and exhibits unique behavior to assist in hunting and catching prey. The osprey is unusual in that it is a single living species that occurs nearly worldwide.